Brian Molefe, who returned as Eskom’s CEO on Monday to staff posters welcoming back “Papa Action”, was moved to tears when he left the role in November. He resigned following a graft probe by the public protector that found he made decisions favouring the Gupta family, who are friends with President Jacob Zuma. 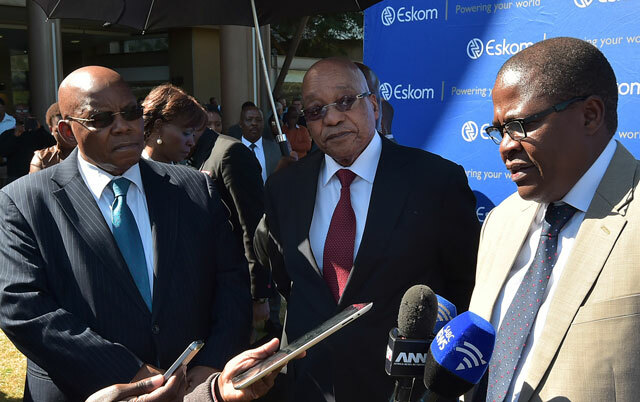 Molefe’s surprise reappointment, announced Friday by Eskom chairman Ben Ngubane, sparked a backlash that’s stretched from opposition parties to labour unions and even the ruling ANC, which told the government to reverse the move. ANC officials told the government that it should rescind Molefe’s reappointment at a meeting on Monday attended by Zuma, party secretary-general Gwede Mantashe said on Tuesday. Action should be taken immediately, he said. The Democratic Alliance, South Africa’s main opposition party, filed a court application on 15 May to set aside Molefe’s appointment. Molefe’s second day back was already off to a poor start after former minerals minister Ngoako Ramatlhodi alleged the CEO was present during a 2015 meeting when Eskom chairman Ngubane tried to pressure the then-minister into suspending Glencore’s mining licences in the country during a dispute between the two companies. Ngubane threatened to go to the president if the request was refused, Ramatlhodi said. At the time, Eskom and Glencore were locked in a dispute after the utility refused to amend a supply contract for Glencore’s Optimum Coal Holdings that had become unprofitable. Eskom fined the producer about R2bn because its fuel didn’t meet specifications. Glencore later agreed to sell Optimum to Tegeta Exploration & Resources, which is part-owned by the Guptas and part-owned by Duduzane. Zuma, the Guptas and Molefe have all denied any wrongdoing. Ramatlhodi’s claims are “preposterous”, Ngubane told reporters in Cape Town on Tuesday morning. He spoke after appearing at a conference in place of Molefe, who had been scheduled to speak but didn’t arrive. Molefe, who spent part of his time away from Eskom as an ANC lawmaker, has already reversed one of the biggest and more controversial decisions made by his predecessor. Then-acting CEO Matshela Koko had announced plans to close five older coal-fired power stations early, saying that a government programme to procure renewable power from independent producers created a surplus. The effect of closing the plants would be “devastating” to as many as 30 000 people who depend on them for their livelihood, Phasiwe said earlier on Tuesday. 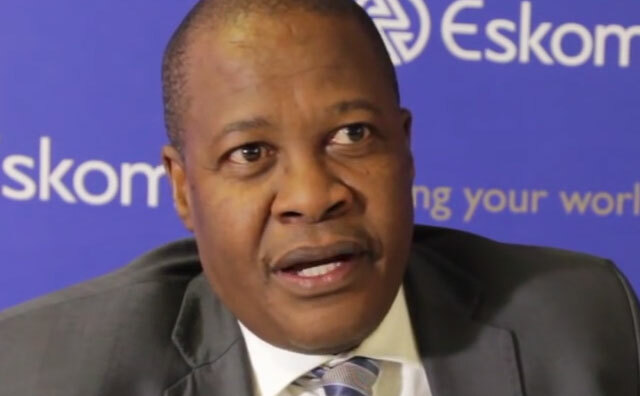 While Molefe left under a cloud last year, he oversaw the end to rolling blackouts in South Africa after joining Eskom as acting CEO in 2015 before being appointed permanently to the role. The utility’s board backed him publicly following the public protector’s November report and videos posted on Twitter on Monday showed employees dancing and waving posters to welcome him. Some analysts say the blackouts ended because they crippled the economy and caused demand for power to collapse. Electricity generated by Eskom’s plants fell to the lowest since 2006 in 2015, it said on its website. The response to Molefe’s reappointment shows growing frustration in South Africa, Mike Davies, the founder of political advisory company Kigoda Consulting, said by phone on Tuesday. And I bet he sleeps just fine at night. Go figure? I would also be dancing in the hallways of Megawatt Park at the arrival of Bra Zuma’s very own Father Christmas pulling into the executive parking bay with bags and bags full of taxpayer funded goodies just waiting to be dispensed to the usual-suspect connected ones. Who wouldn’t?